Tee off your next great marketing campaign with this all-purpose golf tool! 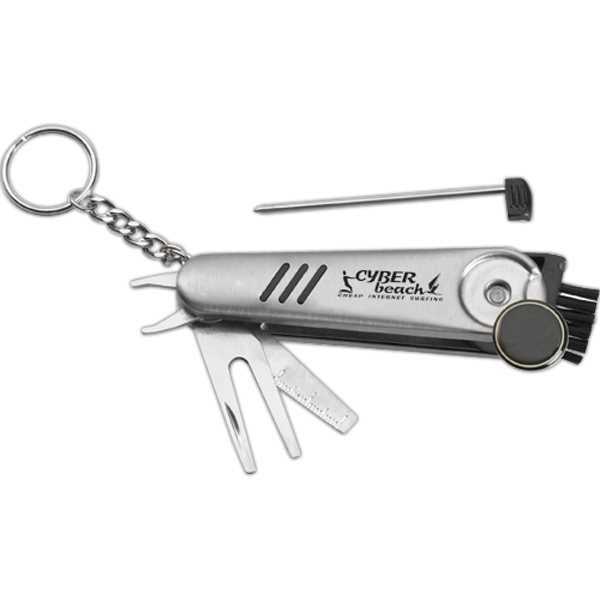 Our handy key chain contains a ball marker, club, brush, divot tool, spike wrench, knife and pen! Every golf tool needed in one handy item! Makes the perfect gift for Father's Day, executives and other fans of the game. Customize item with an imprint to hand out at your next event, and you'll be sure to hit a hole-in-one with all your clients! Size: 3 5/8 " x 1 " x 5/8 "